Will There Be More Rush Revere Books? RUSH: We’re gonna start in Jonestown, Pennsylvania, with Eric. It’s great to have you. How are you doing, sir? CALLER: Good. Thanks for taking my call, Mr. Limbaugh. CALLER: I’ve one question, then I have a question my daughters are desperately having me ask you. But first, do you think that this Russian collusion garbage is actually gonna be a voting issue? And rather than affecting President Trump in a negative way, you know, voters are tired of this witch hunt that they’re almost becoming sympathetic to the president, you know, swinging the pendulum the other way? RUSH: Well, you know, it’s possible. There’s all kinds of things happening out there that would tend to indicate a shift. 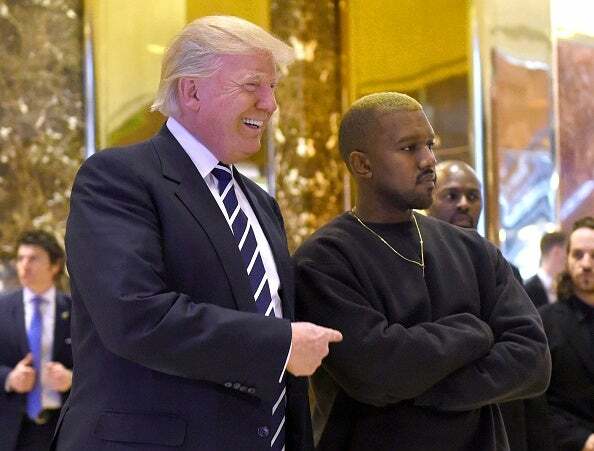 Kanye West, which we will get into later, Kanye West has come out now, basically, I don’t know if it’s a 180, but he’s tweeting a massive Twitter rant in favor of Trump. There’s an African-American woman doing the same thing and she’s being castigated where she lives for doing this. Shania Twain from Canada said she would have voted for Trump if she could have and now her fans are jumping all over her and she’s trying to walk it back. But I think to the nub of your question, the media is missing entirely the anger at them. I know people are angry at them, but I think they are missing the fact that the anger could also translate to inspired motivation at polling places in November. The media thinks that all of the anger and all the inspiration, all the motivation is on the Democrat side ’cause everybody hates Trump. And, believe you me, as you well know, there are people all over this country fed up with every aspect of this Russia investigation, from the allegation in the first place, to the fact that it’s now known it has been bogus from the get-go. RUSH: And, yeah, to answer your question, I think it’s entirely possible there could be a blowback turnout based on this. But I still stand by a point that I’ve been making recently, and that is that I don’t think the things that are really gonna determine the election in November have happened yet. I think there’s stuff yet to happen that nobody can predict will have an impact on the way people vote. But, anyway, hang on because I’m out of time for this brief segment, but we’ll get to the other aspects of your call. You can hang on for a couple minutes? RUSH: Good. Okay. So we’ll be back here and we’ll resume after this. RUSH: Back now to Eric in Jonestown, Pennsylvania. The bottom line is, I think that there is a possibility for a backlash vote. You say sympathy, there may even be some of that. But I think a lot of it is just gonna be massive pro-Trump support that they’re figuring has evaporated because they report these lies, they end up believing them. They think most people hate Trump. They think most people resent Trump, regret voting for Trump. And I think they’re miscalculating now like they were back in 2016. But we’ll see. What were the other questions you wanted to ask? CALLER: Well, a little bit different, but every night I read your Rush Revere books to my daughters, Ashland and Bella, and they’re so worried that after the American Presidents there isn’t gonna be any more to read. So they want to know when the next one’s coming out. RUSH: Okay. Well, there are a lot of factors into this, and I desperately hope that there will be more books in the Rush Revere series. It’s just a matter of — let me tell you something, to be honest. There are about two more than we thought we would write. We initially thought this was gonna be a three-book series, then take some time, ’cause we really ran these three out. I mean, we put three out inside of four years. And there are other things that we’re doing here. We’re really ramping up the RushLimbaugh.com app. And, in fact, on that, we’re in final testing here with what I consider to be a really cool upgrade of the app that I hope we’re able to submit to the app store pretty soon that will add some features. And, among them, much greater ease at collecting, downloading the podcasts of each day’s program via the app. A little bit easier than it is now. And some ongoing bug fixes and streamline things that make it operate smoother, faster. We had this gigantic features list that we have projected for the year to add to the app. And it’s time intensive. It takes a lot of time. Other aspects of the website itself, which is the foundation for the app. 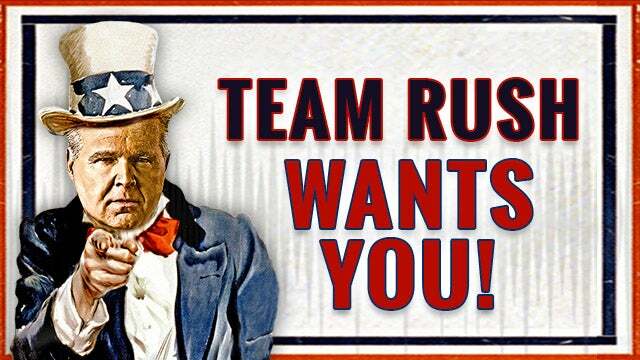 And we’re doing other things on the website involving audience outreach and so forth, such as the Team Rush, Meet Rush section now where we actually do Skype and video conference calls with listeners and learn a little bit about them, how they listen to the program and how long and why. And those interviews are slowly and surely being published at RushLimbaugh.com. So I’d love it tell you there will be more. Time will tell. I desperately hope so. Here’s another thing. When I mention this to people, “Well, why don’t you go hire a ghost?” Hire a ghost writer. We’ve thought about it. And, you know, with a ghostwriter there’s nobody that can — it’s very hard to write as someone else. And we have a whole team that puts these together, what with the graphics and the illustrations, the historical research, and making sure that the subject matter we choose we find a way to make it interesting yet truthful and factual for the 10 to 12, 10 to 14 age-group or even younger than that. And having a ghostwriter would just add time. We’d have to wait for the ghost to do it, then read what the ghost has done, edit it, maybe have to rewrite it a couple of times. I don’t like farming out things like that anyway. If it were just a project where we have a book out every six months and churn ’em away and hire writers and put their names on the books, you know, Rush Limbaugh and Anastas Mikoyan or whoever we hired. But I don’t want to do it that way, so it’s just a time budgeting thing. The best I can tell you is I hope there will be. I sincerely do. And I thank you and your daughters for having such interest in it. We knew this was gonna happen. We knew that, if they were a hit, that the demand would be sky-high for them. So we’re very, very much aware. I appreciate the call, the curiosity.